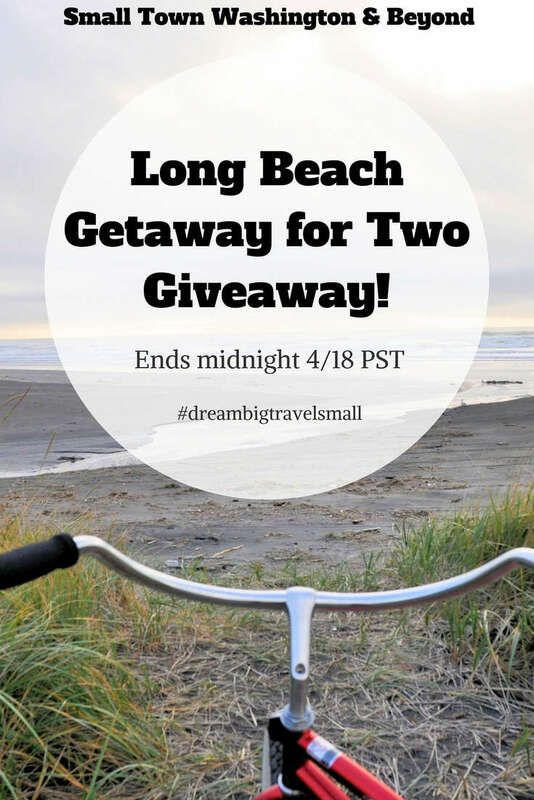 Anniversary Giveaway: Long Beach Getaway for Two! April ushered in my two year anniversary for Small Town Washington & Beyond. As you know, the Long Beach Peninsula is one of my favorite places in Washington State. It has beachfront hotels, fabulous restaurants, mushroom hunting, lots of amazing natural beauty from beaches, wooded forests, scenic drives, the world’s longest beach, and a ton of history including the Lewis and Clark Expedition. This getaway for two has a total value of $600! *One night stay based on availability. Calendar of available nights provided. Contest ends midnight 4/18 PST. Winner must have a US or Canadian mailing address. By entering the giveaway you are agreeing to subscribe to Small Town Washington & Beyond and receive monthly newsletters. Requirements: Entrants must have a U.S. or Canadian mailing address. What a great excuse to come across the border and do more exploring! What’s not to love about Long Beach! This would make a great little getaway for us! Not every weekend is great for camping and sometimes we just want to unwind. I am headed out to Washington for my son’s college graduation at the end of the summer. This would be the perfect compliment to that. What a fabulous giveaway, and I’ve never been to Long Beach. Congratulations on your 2-year blog anniversary! 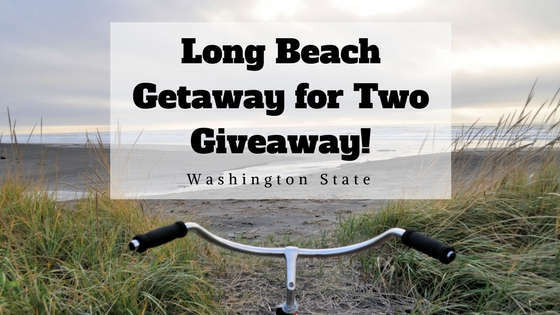 I would love to win this giveaway because I absolutely ADORE anything on the coast! I have never been to the Long Beach Peninsula, but would love to add it to our list of adventures. Thank you for offering something so exciting! I would love to win this getaway. My husband was stationed at cape d and we didn’t have a chance to see some of these places. It would be great to go back and finally check out. 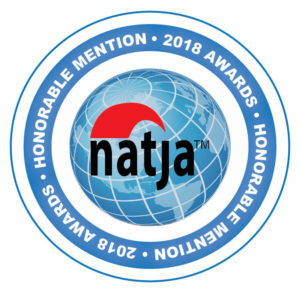 Thank you for the wonderful chance to win this prize! Happy anniversary! This is my husband and my special place. It’s our little get away when we can! Thank you for the chance to win!! What a great giveaway. We love this area but for some reason haven’t stayed here overnight in years. My husband and I always make sure to go to the coast at least once a year. This year we will all be enjoying the trip with his family as well to celebrate his fathers birthday. Ever since our son came along, there hasn’t been a lot of “us” time to reconnect and this would be amazing! Happy 2nd anniversary! I would love to win because my boyfriend is from Long Beach and we would get to check out some things new to me in his home town. North Jetty Brewing is fantastic! great place, good times, gnice people. Fantastic! I’m in. It’s been far too long since I’ve been to Long Beach. This sounds perfect, we miss the ocean! Happy Anniversary to you and your blog! We would love to win. Our 40th anniversary is this year. And we’re not sure what we are doing yet. What a way to celebrate it! Long Beach is our favorite place in the world. This little beach town recharges our souls every time we visit. We love it so much we are getting married there this Summer!!!! I grew up in Long Beach and my grandparents still live there and have been there since the late 40s early 50s. I visit them every so often. I would love to retire at the beach someday. My boyfriend and I go here on our yearly anniversaries and winning the giveaway would be great for us to do some fun things for a nice little trip! I love your blog so much. I live vicariuosly through you! Thanks for sharing your adventures. I would love to win this giveaway for me and my mom to go on, She is my best friend and we both love the beach. I always wanted to ride horses along the beach that would be so neat. I would like to win & surprise my husband for our 26th wedding anniversary. a 48 hours vacation is just our style and to spend it at the beach is a bonus. We haven’t been to Long beach in a long time and would love to go again and take our 6 month old puppy Gibbs to run on the beach. There is so much to see and do on the Long Beach Peninsula! I would love another opportunity to explore. We have been going to Long Beach every year since I was in high school and now that I have children it has continued to be our tradition! My family and I love Long Beach and I’d love to take a trip with just the hubby for a mini vaca! Thanks for the chance! LOVE Adrift! This sounds perfect! With my 7 year anniversary coming up, we could use a kid free get away! I love the scenic views and the food. I would love to visit Long Beach! My husband and I went there on our Honeymoon. BEAUTIFUL!!! !